Mahalo to Joan Bartosik of California for sharing this beautiful photo with us for our Aloha Friday Photo series. 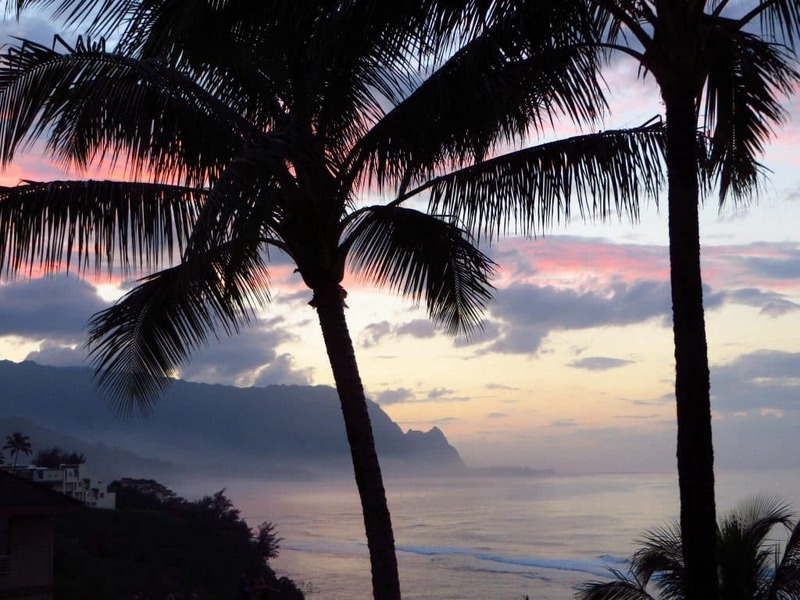 Joan’s photo was taken around sunset from Princeville on the north shore of Kauai. This Princeville perch provides a beautiful overlook of Hanalei Bay. The slivers of pink in the clouds, the rolling surf along with the mountain and palm tree silhouettes all combine for a heavenly scene. It is faraway from my country. But not finished my dream about hawaii. Maybe i will send to yours best Hawaii pic. 🙂 who knows?